After I became an adult, when I would visit my mother–before she started the long Alzheimer’s decline toward her death four years ago–we often walked together in the pastures of the ranch where I grew up. She loved the outdoors and nature and animals as I do, and the memories of those walks as we noticed wildflowers and other plants and all kinds of creatures nurture me still. It was indoors though, that my mother said something to me I will always remember and which will always move me. We were shopping in a mall in San Antonio. I was about twenty, and my mother would have been about the age I am now. We walked past a pet store, and I exclaimed in dismay over the pitiable animals–puppies? kittens? I’ve forgotten which–encaged in a showcase window. They looked so forlorn, and I was outspokenly indignant about their treatment. This conveyed to me then, and says to me now, that she got me, that she understood what made me tick. She recognized what was important to me, she accepted me as I was, and she approved. What a wonderful gift to give a daughter as she prepared to grow up and away from her mother. How like her to do that for me. Does something your mother said to you stand out in your memory? What does it communicate to you today? 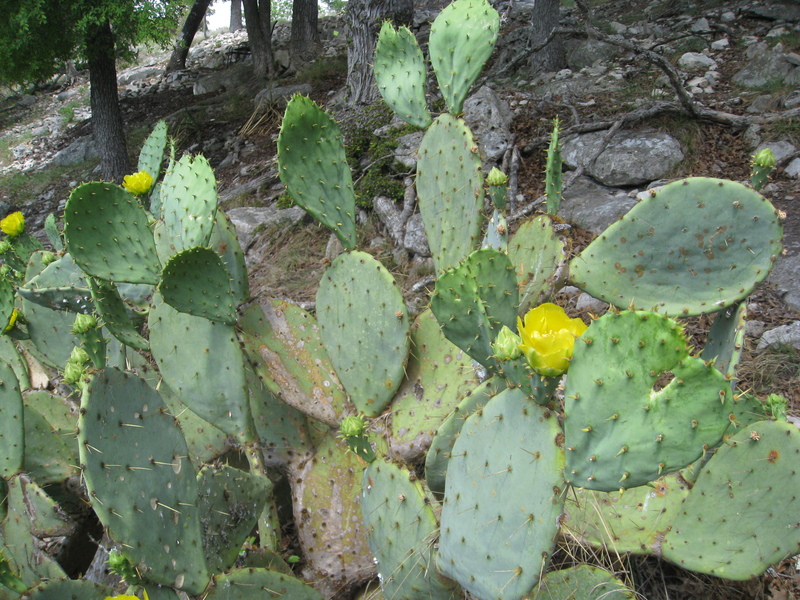 This entry was posted in awareness, cactus, flowers, gratitude, human stories, landscape, secret glories, Texas hill country. Bookmark the permalink. Thank you, Anne. It’s always more difficult to put the most personal stories “out there.” Once again, I appreciate your kind support, dear friend. Another of your writings that brought a tear to my eyes. It made me think of my mother, who is showing signs of dementia, and how rare and special those moments are that bind mother and daughter together in the role of mutually respectful adults. I’ll be in Texas soon and hope to see you two. Hugs. Thank you, Kate, for reading and for taking the time to comment. I will be thinking of you and your mother, and we’ll both be expecting a visit from you and Paco and maybe Mac. Hope so! Hi, Janet! Thank you. I hope you’re having a beautiful spring. I was 6 days past 20 when my mother died. She’d been sick a year and I’d been her caregiver. I’d been emotionally estranged from my mother since my father died fifteen years before. Not her fault, not mine, just circumstances that made it so. I have since seen her in a fleeting vision, for a second beside me, smiling, proud of me. So, you see mothers never stop loving their children. I’m so glad you have that comfort from your mother. For me, it’s only now, four years after her death, that I can remember clearly who my mother really was before Alzheimer’s changed her. Thank you so much for reading and for commenting. I will definitely check out your books.